Use of poor construction materials and/or techniques can cause concrete to bow and fall apart, allowing water to seep into the house. 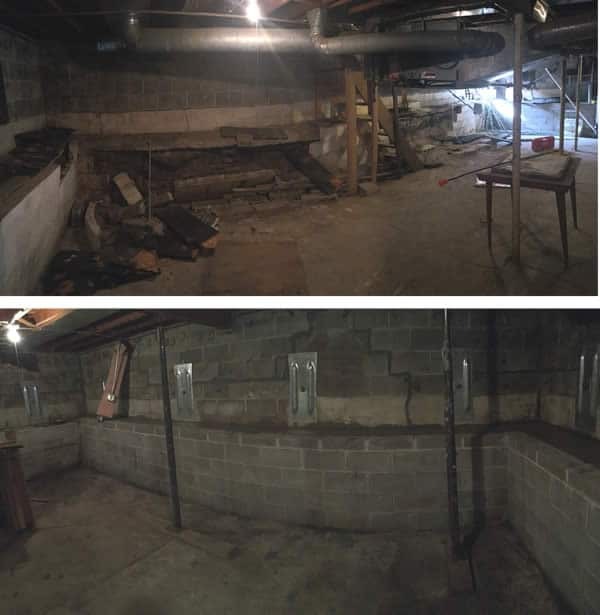 BDB Waterproofing can rebuild basement or masonry walls that are crumbling and deteriorating. To determine if a wall needs to be repaired or rebuilt, our professional, trained and certified foundation expert will carefully inspect the wall(s) in question. Then he’ll determine the best plan of action, and schedule a time that’s convenient for you. BDB Waterproofing can also rebuild stone or brick foundation and basement walls. These types of foundations are commonly seen in this area, and they need the same amount of attention that standard concrete foundation walls receive. If a masonry or stone wall becomes fragile, it will no longer able to support the full weight of your house. Call today for a FREE estimate for your project. One of our experienced design professionals will explain how the rebuilding process works: from supporting your existing home, tearing out an existing wall to rebuilding the finished product. BDB Waterproofing guarantees that you will have all the information you need to make a sound decision on your product.